In a summer chock full of sequels (seriously, I counted 9, not including reboots), it’s certainly easy to write these flicks off as Hollywood’s attempt to draw blood from the proverbial stone instead of having a warranted story to tell. This broad brush stroke is mostly justified for sequels anymore; Think Hangover Part II vs. The Godfather: Part II (an extreme comparison to be sure, but you get my point). Luckily for Phil Lord and Chris Miller, writers and directors of 21 Jump Street and now, 22 Jump Street, lightning can strike twice. as to where the drugs could be coming from, they step onto the college scene as students at a local university to locate the source and shut down the operation. 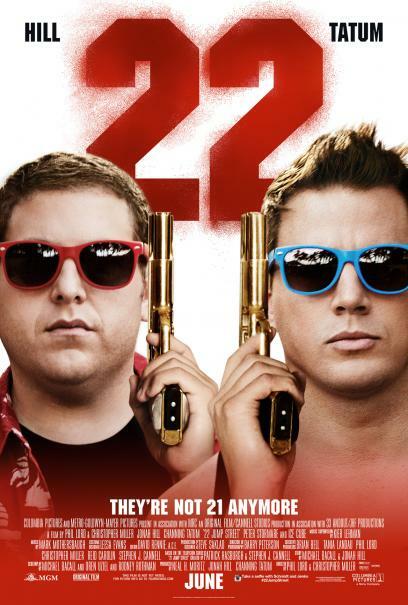 It’s ironic that 22 Jump Street is so damn funny and easily on par with its predecessor, considering it is the exact same plot as the first movie. It works so well because Phil Lord and Chris Miller not only know this, but they continually celebrate it with the audience, riding off of the unbeatable bromance between Jonah Hill and Channing Tatum and all of the things that worked so well in the first film while facing the problems with sequels, the fact that these guys are too old to pass as college students, and other potential plot holes head-on. I cannot say enough about the chemistry between Hill and Tatum; they’re so fun to watch, I could have watched 90 minutes of these two riffing off of each other and would have come away happy. We know about Jonah Hill’s comedic (and dramatic) chops, but Channing Tatum is downright hilarious when he’s improvising, even poking fun with tongue-in-cheek lines about past acting choices (a la White House Down). Add to that some great cameos, clever writing with nostalgic college references, a slick pace, and a fun soundtrack, and 22 Jump Street is arguably better than the first. If you’re a fan of the original, 22 Jump St. is a must-see. Even if you haven’t seen 21 Jump Street, fear not, as you’ll be caught up within the first two minutes. 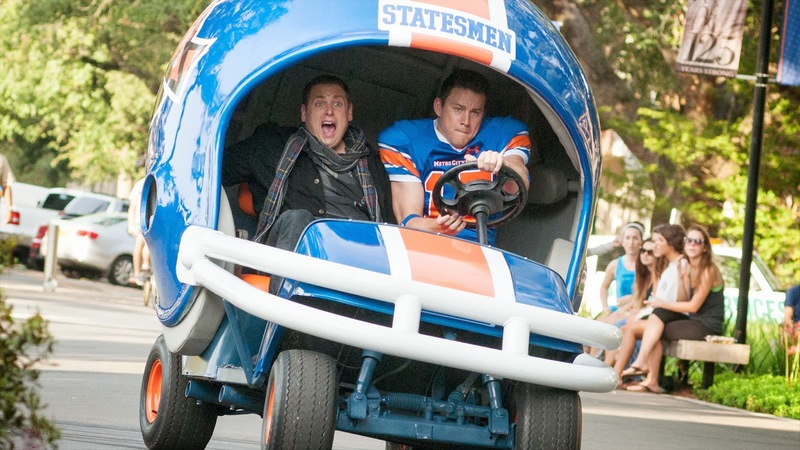 In a summer full of tired reboots and retreads, 22 Jump Street is a great night at the movies. See it! 22 Jump Street opens today in Philly-area theaters.